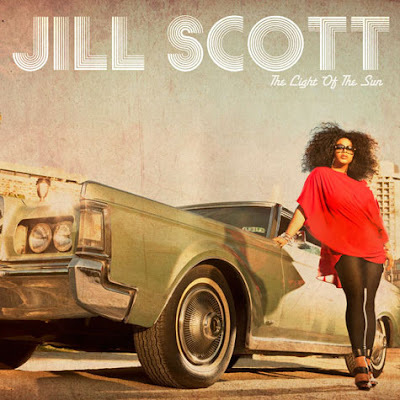 Ok...so, by the looks of the cover for this new album from Jilly from Philly, A LOT HAS CHANGED for sista girl. She's lost a lotta weight, gone thru all kinds of label issues, etc. Well, it absolutely comes thru in her music too. And the change is pretty refreshing. There's a lot LESS "neo soul" and a lot more HIP HOP. And by Hip Hop, I mean CLASSIC, 80's era Hip Hop influence here. It's definitely a record that in my opinion, is aimed square at the "30 and up" crowd. The album starts off with "Blessed", where it's half rap/sang about all the blessings she has in her life. It's WAY more fresh than my bland description of it sounds. From the "Passin me by-esque" shakers, to the smooth glissando showered drums. It's SLICK as hell. Next we got So in Love ft. Anthony Hamilton which is simply DOPE. It's definitley a track that'll find it's way onto a steppers set. It sounds like it easily could've been made back when R&B FELT like something. Great track from two seasoned artists. But, there ARE some missteps. The single "Shame" ft. Eve & The A Group is simply BORING. I saw the video a couple months ago, heard the song and was NEVER a fan of it. And nothing has changed since then. Jill then hits us with "All Cried Out" ft. Doug E. Fresh, which starts off feeling pretty good, and is kinda fun, but doesn't seem to REALLY hit its mark. But THEN, "Le BOOM Vent Suite" drops and DAYUM. Here we go!! I can only imagine how this track will sound LIVE. But...then...IT HAPPENS. "So Gone (What My Mind Says)" ft. Paul Wall (???) drops and HOLY DAMN WOW. This is that patented, epic movie love scene type track we know Jill is great for. And what's crazy...Paul Wall KILLS IT. I mean he makes his feature WORK. I'd personally rather have heard Ludacris, but this track is SICK. "Hear My Call" is a pretty amazing balad. I am NOT a fan of ballads, but this is GOOD. Another standout is "Some Other Time" which is one of Jill's spoken word-esque joints, laid to a VERY funky and DAMN GOOD backdrop. Oh yeah, on "Until Then" she uses the phrase "dickmatized". I damn near gave her a PERFECT rating off that alone...LOL. And that's pretty much how the rest of the album rolls...DAMN GOOD. In my opinion, as a fan...this is a glorious and superb return to the game since she hasn't dropped an original material since 2007. If you don't buy this album, you are failing miserably as a lover of music.